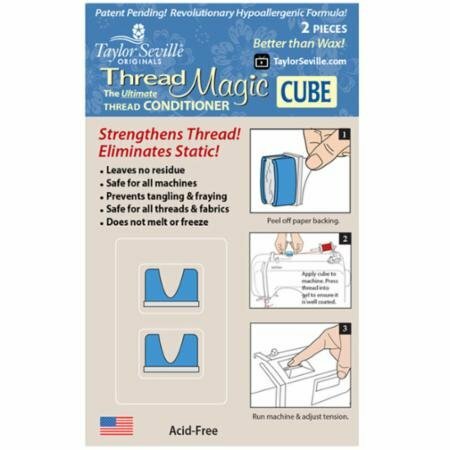 Thread Magic is the ultimate thread conditioner. Safe for all machines, leaves no residue in machine or tension disks. 400% less thread drag and 400% less hand fatigue. Makes thread stronger for less breakage, less fraying, and less tangling. 2 pieces to use on your sewing machine. Peel off paper backing apply cube to machine in front of thread spool. Acid free.